Folding, telescoping design is easy to haul and store. 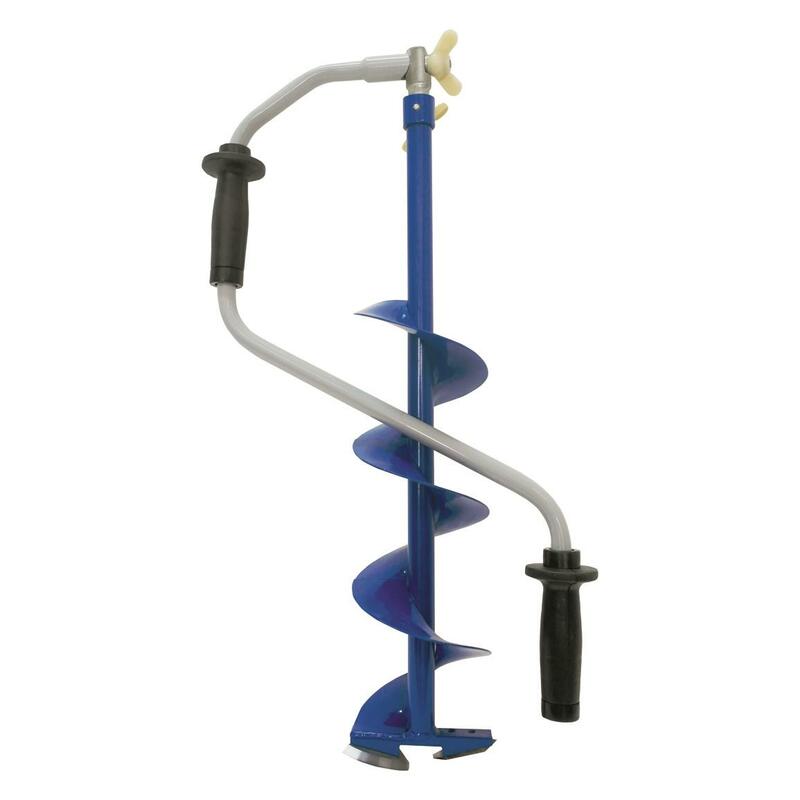 Punch more holes in the ice without straining your arms or pocketbook using the Nero Folding 7" Hand Ice Auger. 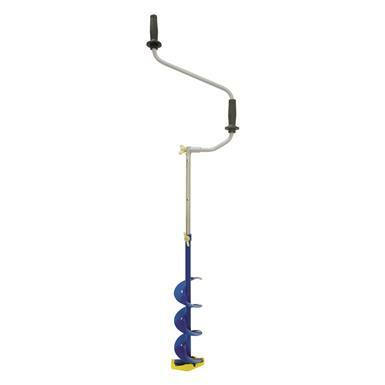 This compact yet powerful tool uses an ingenious folding design that opens and telescopes to the height of a regular-sized auger. The offset handles provide torque and the heat-treated 7" diameter blades are set at calculated cutting angles to chew right through any frozen lake with amazing ease.